I'm super duper clumsy and really good at smashing makeup on my makeup table/on the floor. The item that fares the worst is anything pressed. 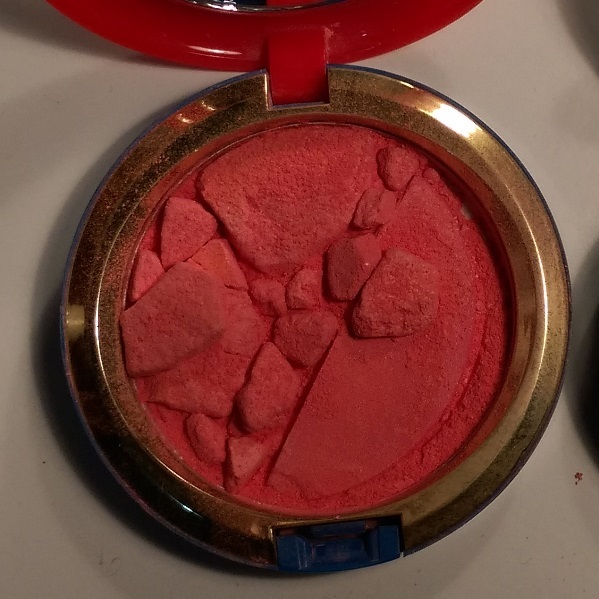 I did some googling and found this method to re-pack smashed blush back to its original state. Ok the reason why I said use 70%-100% isopropyl alcohol if you can get it is because it has a higher alcohol content. Rubbing alcohol (Isocol is the main brand we have here in Aus) can have up to 50% water. I used rubbing alcohol the first time I did this and the blush crumbled again not longer after. I suspect this is due to the water content - I'm sure someone science-y can explain it. Ok this is going to seem instinctively wrong but just trust me. 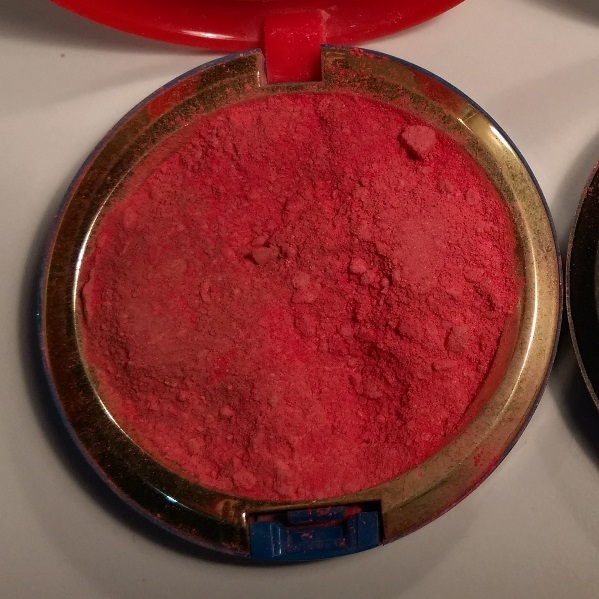 Get whatever stick you've chosen and smash up the blush until it is literally all loose powder. Do it. Blot blot blot. Use tissue or paper towels to start blotting the mixture. You'll get some colour come off but this is normal. 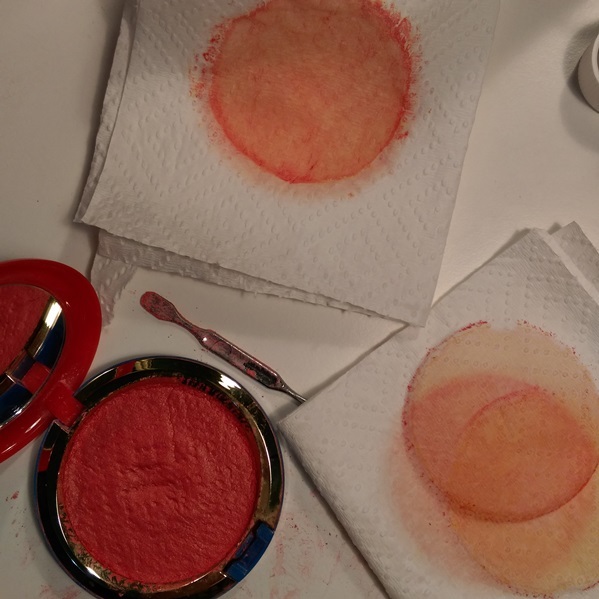 I used paper towels with a pattern embossed into them to give the blush an embossed finish. 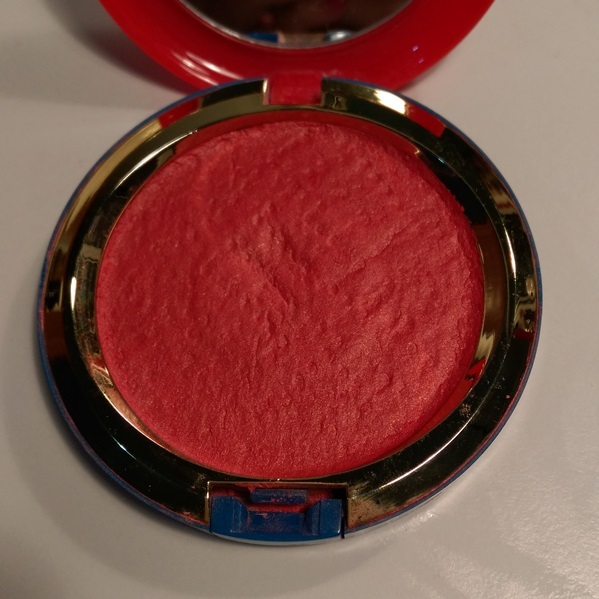 (PS I cleaned the excess blush off the rim because I'm neurotic like that). 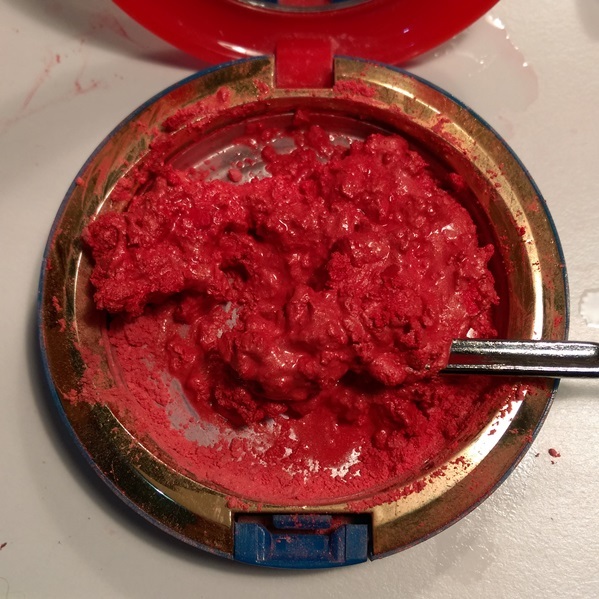 This is a fantastic explanation for fixing a really good blush when it cracks into pieces. You make it sound so easy, I completely understand cleaning the rim till it looks brand new.